Families in the market for a brand new vehicle around Mechanicstown should consider a used Honda Odyssey from Middletown Honda. 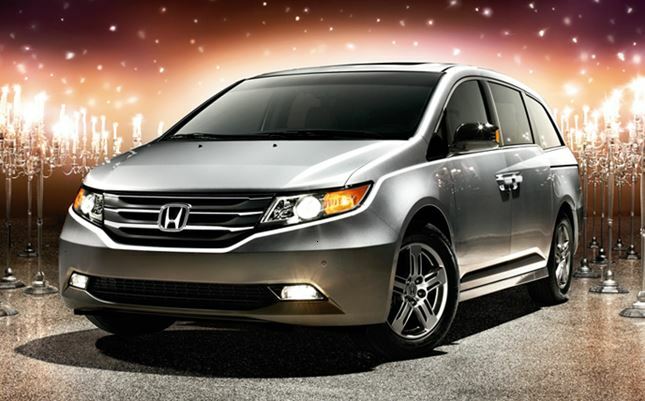 The Odyssey has always been one of the best minivan options on the road, and no matter which model year you’re looking at, you’re going to find a solid and dependable minivan for you and the whole family. Of course, there have been some notable changes to the Odyssey over the years, and we want to let you know just what you can expect across those different models when you our Middletown used car dealership. If you find a gently-used 2013 or newer Odyssey, you’ll find amenities like Bluetooth phone and audio streaming, a rearview camera, Honda’s unique i-MID system connecting all of your technology, and much more. And the 2014 models are still fresh off the line, but when they hit our used car showroom you can expect at least a few of them to be outfitted with the new HondaVac: a built-in vacuum for keeping your minivan clean. The third generation of Honda’s minivan also all sported V6 engines, though the powertrains found on EX-L and Touring trims featured variable cylinder management for improved fuel economy. We think that there really is a used Honda Odyssey here at Middletown Honda for any driver’s needs, and at just a short drive away from Mechanicstown, it’s easy to drop by and take one or two for a spin. We’re located at 520 Route 211 E. and ready to help you find your next car. Be sure to contact us if you have any questions about our inventory.